This view shows the unlit face of Saturn's rings, visible via scattered and transmitted light. In these views, dark regions represent gaps and areas of higher particle densities, while brighter regions are filled with less dense concentrations of ring particles. The dim right side of the image contains nearly the entire C ring. The brighter region in the middle is the inner B ring, while the darkest part represents the dense outer B Ring. 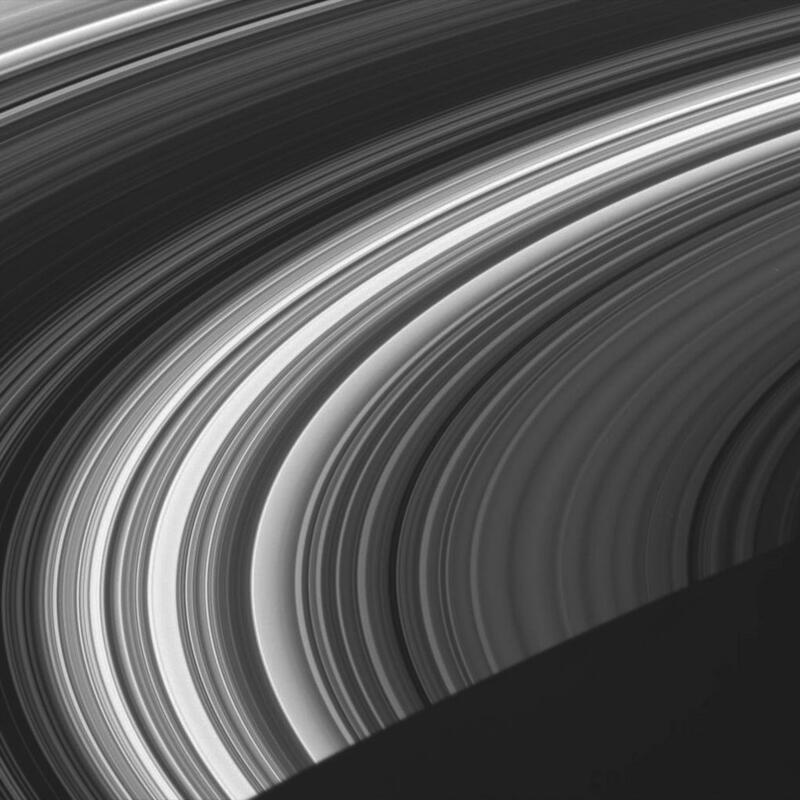 The Cassini Division and the innermost part of the A ring are at the upper-left. Saturn's shadow carves a dark triangle out of the lower right corner of this image. The image was taken in visible light with the Cassini spacecraft wide-angle camera on June 8, 2005, at a distance of approximately 433,000 kilometers (269,000 miles) from Saturn. The image scale is 22 kilometers (14 miles) per pixel.